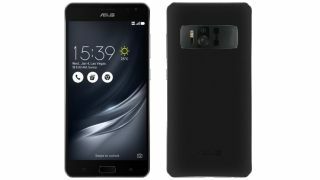 Asus is likely to unveil the Asus ZenFone AR at CES 2017 after Qualcomm posted, then removed a blog post pertaining to the announcement a few days early of the official January 4 reveal. And, while the above design (as seen in press renders scooped by Evan Blass) might look to closely follow in the footsteps of previous ZenFone devices, it is tipped to break some new ground. Sure, the Lenovo Phab 2 Pro might have been the first phone to contain Google Tango, but the ZenFone AR will be the first phone with a capable Snapdragon 821 system-on-a-chip to properly power the augmented reality experience - the same SoC that’s inside of the Google Pixel and the OnePlus 3T. Not just that, the ZenFone AR will also be the first Tango phone that’s also Daydream-ready. We knew that the combination of Google’s AR and VR technologies was bound to happen at some point, but it’s encouraging to see it happening shortly after their respective debuts. Originally discovered by GSMArena, the leaked blog post by Qualcomm details that the ZenFone AR will work in the Google Daydream View headset, which indicates that Asus isn’t quite ready to debut its own take on the reference Google Daydream headset. Should the Asus ZenFone AR be at CES 2017, we’ll be sure to get our hands-on it.